MRF prides itself on offering the best personal attention and legal knowledge to all of its clients. Established on 1 May 1979, MRF is a leading national intellectual property law firm that is known for its excellence, integrity, efficiency and client service. MRF’s clients come from a wide-range of industries, such as mining, manufacturing, bio-chemical, gaming, software, pharmaceutical and the liquor trade. 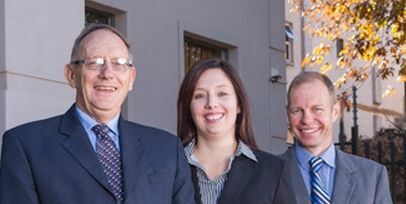 Based in Randburg, South Africa the firm is led by William McCallum, Monty Rademeyer and Ian Freimond. Clients range from conglomerates to start-up ventures, associations and individuals. MRF is always focusing on providing services to its clients, thereby adding value to their businesses through their intellectual property law and legal requirements. MRF has dealings in many foreign countries, as well as the African continent. Their small firm approach brings personal attention to each client and ensures the best legal attention and advice.